Barsprinter Perennial Ryegrass Seed from Barenbrug Seeds has excellent stand density with good persistence from winter persistence. Buy yours here! BG-24T Perennial Ryegrass Seed has better disease tolerance and can withstand cooler regions than its predecessor. Buy yours here! 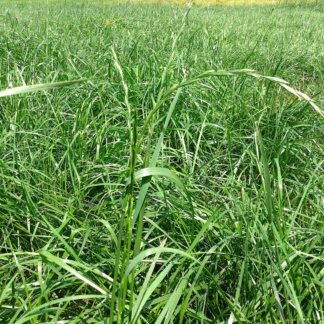 BG-34 Perennial Ryegrass Seed is a blend of the best late maturing, winter hardy varieties with dairy farmers reporting production increase. Welcome to Byron Seeds only Point of Sale Site. We carry Byron Seeds best products – including Byrons Ryegrass Blend Seed. Calibra Perennial Ryegrass Seed from DLF Seeds is proven to be very productive even in short growing seasons and high sugar for digestibility ease. Buy yours here! Certified Organic Calibra Perennial Ryegrass Seed is proven to be very productive even in short growing seasons and high sugar for digestibility ease. Buy yours here! Garibaldi Perennial Ryegrass Seed from DLF and Byron Seeds is a late heading tetraploid and cold tolerant. Buy yours here! 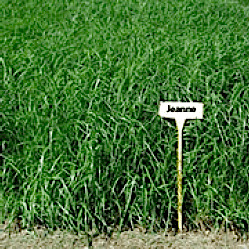 Jumbo Annual Ryegrass Seed is a higher yielding, later maturing, and winter-hardy tetraploid variety suitable for both grazing and harvesting. A tetraploid from DLF. Excels in quality and palatablility. KingFisher Eclipse Ryegrass Seed is blended of our best ryegrasses for quality, yield, and winterhardiness. Ryegrass seed in stock. Discounts available! 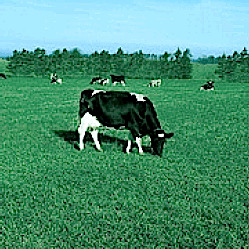 Kodiak is an annual ryegrass used for grazing, silage and cover crop with improved cold tolerance. Get yours here! MO-1 Annual Ryegrass a diploid is proven to be the most winterhardy annual ryegrass with superior yields and palatability. Buy yours here! Remington Perennial Ryegrass Seed is one of our best varieties for summer production, standing the winter of WI a the heat of KY. Buy yours here! Tivoli Perennial Ryegrass Seed a late tetraploid variety that maintains good spring growth and little summer heading. Buy yours here!